The older I get, the more I don’t care what other people think about me. I only know that I want to please God. The reason many didn’t put their trust in Christ was because of what the Pharisees thought and that they’d be put out of the synagogue (John 12:42-43). How sad to let the fear of what others think be the determining factor over what they should or shouldn’t do. The fear or concern of what others think is a huge stumbling block to people (Proverbs 29:25). Who cares what others think–they don’t know your heart anyway. I only care what God knows. We should live for an audience of One, and that is God Himself. I love what Martin Luther once said, that God plus one is a majority, which is so true. Realize this: If God is for you, why would you ever fear who could be against you (Romans 8:31)? If you know that there’s no condemnation before God (Romans 8:1), you can be at peace about your relationship with Him (Romans 5:1). Isn’t that all we should be concerned about? For those who have repented and put their trust in Christ, they have no need to fear what man can do (Psalm 118:6). At the worst, they can kill the body so all we need fear is that if we’ve never been saved, God can destroy both body and soul (Matt 10:28). If we’ve been born again, we don’t even have to fear death. I don’t care if others don’t approve of me. They’re not my ultimate judge anyway. I will stand before God and not before them. 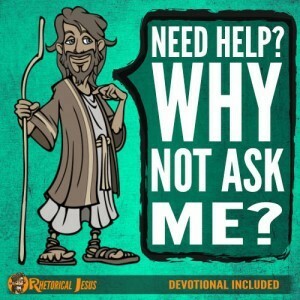 Paul asked the rhetorical question of whether he was seeking the approval of man or of God. Was he trying to please man? 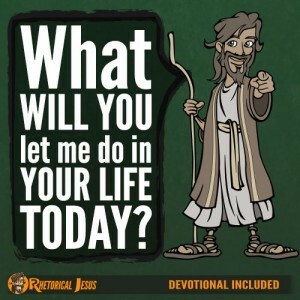 If he were still trying to please man, he would not be a servant of Christ (Galatians 1:10). Paul’s point is that if we are seeking only the approval of man, we are not being a servant of Christ. The Greek word for “slave” is “doulos.” What slave is concerned about what someone who is not their master thinks? 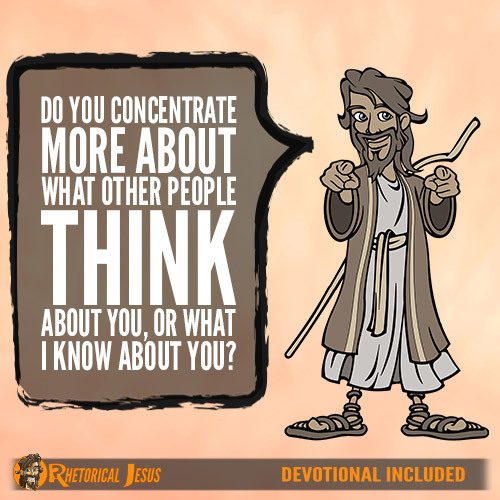 Do you concentrate more on what other people think about you or what God knows about you? God, please forgive me for caving into the pressure of what others think. I know that I truly only need to focus on pleasing You because what You think is important, not what others do. Help me to focus on this, and in Christ’s precious name I pray.